Winter calls for drinks that warm you up and help you feel totally indulged. Imagine a cold day where your feet are tingling from the cold and your fingers are stinging from the wind, on those occasions a decadent hot cocoa is needed. 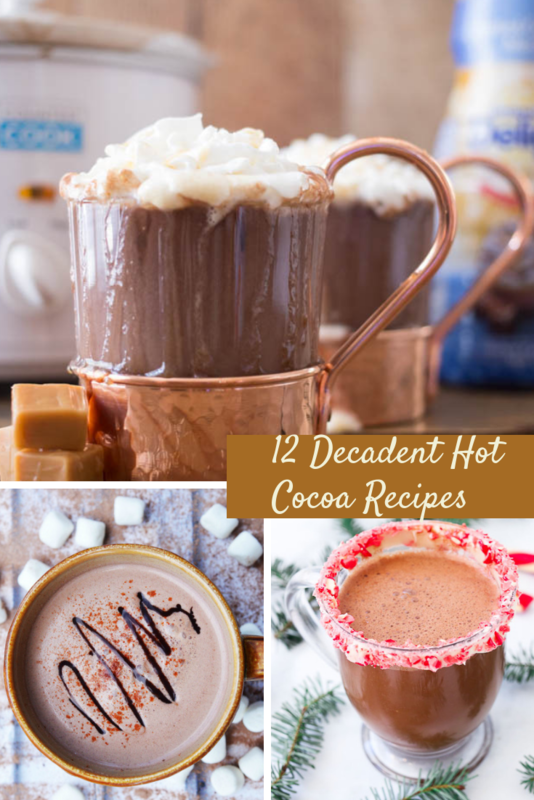 I like that these 12 decadent hot cocoa recipes can be enjoyed by all the family. Many can be prepped at home whilst you are on the school run and will warm the kids up with an afterschool treat. 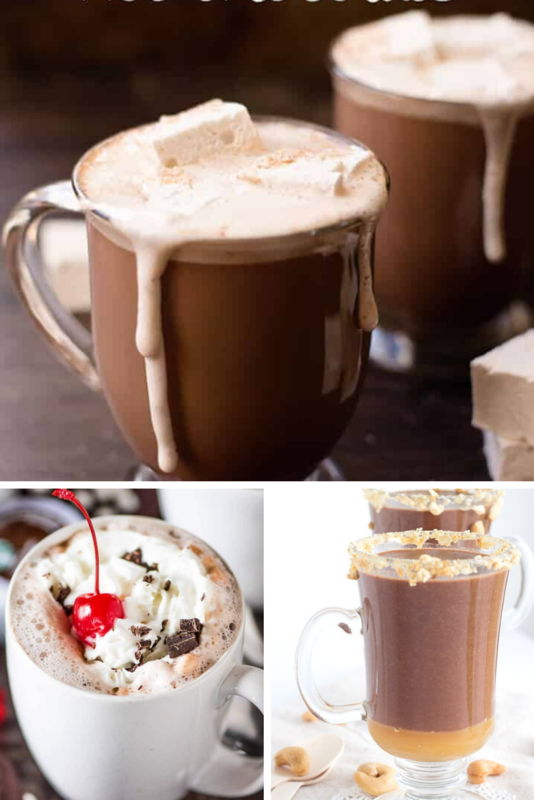 If you are looking for an added kick and an adult only version then these 13 Boozy Hot Chocolate Recipes to Make this Winter are also worth a try. These hot chocolate recipes are easy to make and work well for weekends after a day of rushing about. They also make a good treat for a home movie night, simply find a movie, wrap yourself in your PJ’s and blankets and shut out the world. Popcorn not essential but always welcome! Let me know in the comments which was your favourite hot cocoa recipe from the list above.